Welcome back from the Holidays everyone. Hope it was enjoyable. Things are really kicking off with a bang here at Habitat! 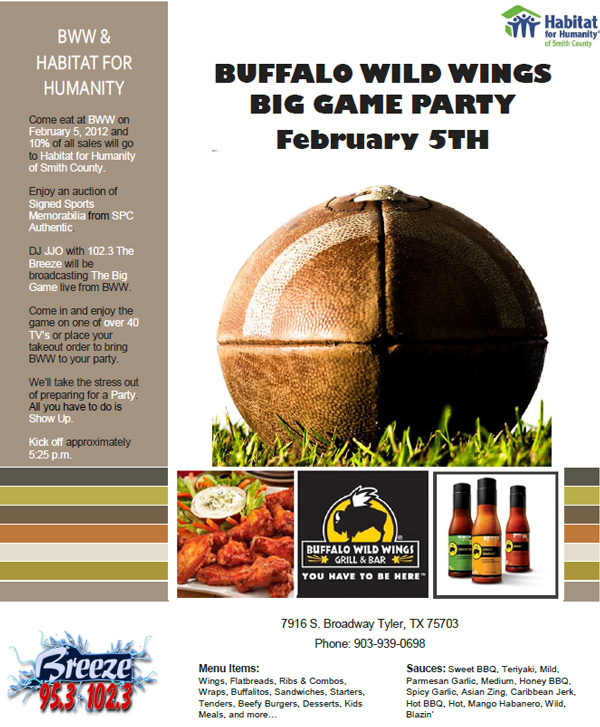 We are so excited about our Big Game Party fundraiser coming up at Buffalo Wild Wings. Check out our flyer to find out more! This entry was posted in Uncategorized and tagged big game, Buffalo Wild Wings, game party, holidays on January 9, 2012 by Smith County Habitat.